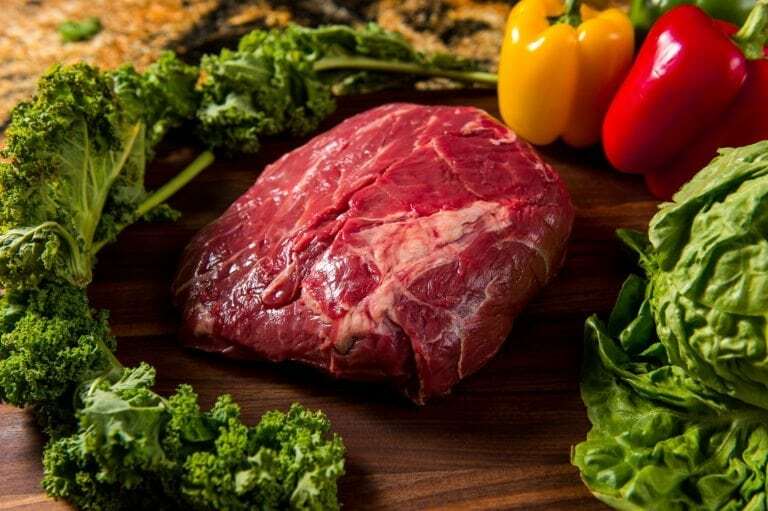 Our Grass Fed Beef Winter Package includes a delicious Grass Fed Chuck Roast, hearty Stew Meat and mouth-watering Ground Beef (85/15). Our beef is dry aged 21 days for a robust ‘beefy’ flavor, tender texture and deep color. 100% Natural Grass Fed Beef. Minimally Processed. NO Additives. NO GMOs. NO Added Hormones. NO BS. Approximately 9 lbs. (Approx. 36 servings). $79+ value. Family Raised Grass Fed Beef: Our family has been raising free range grass fed beef for over a decade in Kansas and Colorado. We are now offering our ‘small batch’ grass fed beef for sale. 100% Satisfaction Guarantee. 100% Natural Grass Fed Beef. Dry Aged 21 Days. Minimally Processed. No GMOs. No Additives. No BS. Explore other Grass Fed Beef Packages or Join our Grass Fed Beef Club and receive premium beef delivered each month. Sending as a gift? We can include a personalized Hallmark Card for any occasion (no extra charge). Delicious Grass Fed Beef, Delivered Direct from Producer – Buy premium Grass Fed Beef steaks, delivered direct from the producer. 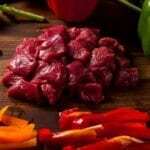 Minimally Processed Beef – Our beef is minimally processed in small batches. 100% Natural Grass Fed Beef – 100% Natural Beef. NO Added Hormones. NO Additives. NO GMOs. NO BS. Gluten Free. Nothing Artificial. Healthier Option – Grass fed beef has less fat, more Omega-3s and more antioxidant vitamins (A, D, E and K) vs traditional store-bought beef. Pasture-Raised Free Range, Grass Fed Beef (Free Range) – Our grass fed beef is pasture-raised and free range — not raised in a crowded, dirty feed yard. Dry-aged 21 Days – Our grass fed beef is aged 21 days for a big ‘beefy’ flavor and tender texture. 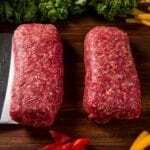 USDA Certified – Each cut is individually labeled with the cut name, weight and USDA inspection approval. Premium Quality – Restaurant quality (fine dining) beef delivered to your doorstep — for about the same price (or less) as your local butcher. Conveniently Delivered – Save time, gas and the avoid checkout lines at the store. 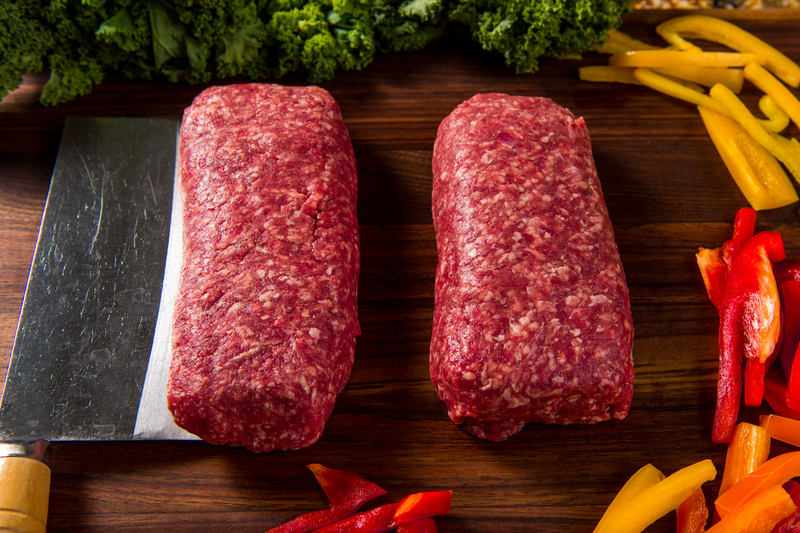 We conveniently deliver hand-selected grass fed beef direct to your door. 100% Satisfaction Guarantee – We 100% guarantee our grass fed beef steaks. If you are not happy, we’ll make it right. Join Our Grass Fed Beef Club (monthly subscription) – Subscribe to our Grass Fed Beef Club and receive gourmet grass fed beef every month. Grass Fed Beef Jerky Now Available – We launched our new All Natural Beef Jerky line in September 2018. Flavors include: Mild, Teriyaki and Sweet Peppered. Sear on High heat. Then, use lower heat (low-medium to medium) to finish cooking. Use less cooking time when grilling or frying grass fed steaks (about 20-30% less). We recommend using a food thermometer to monitor temperature. Keep temperature to medium (or under) – do not overcook! See our Recipes Page for more info on preparation and cooking techniques. 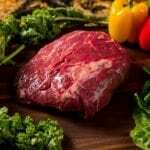 Visit our Beef Guide for photos and descriptions of specific grass-fed beef cuts (steaks, roasts, etc.). Have a question about grass-fed beef? Check out our FAQ (frequently asked questions). You will receive email confirmation and follow up to schedule your delivery date (weather can affect shipping). National orders ship on Monday-Tuesday for Thursday-Friday delivery. Questions? Call us at (800) 373-5210 — we’re available Monday-Friday, 9am-5pm (central time). 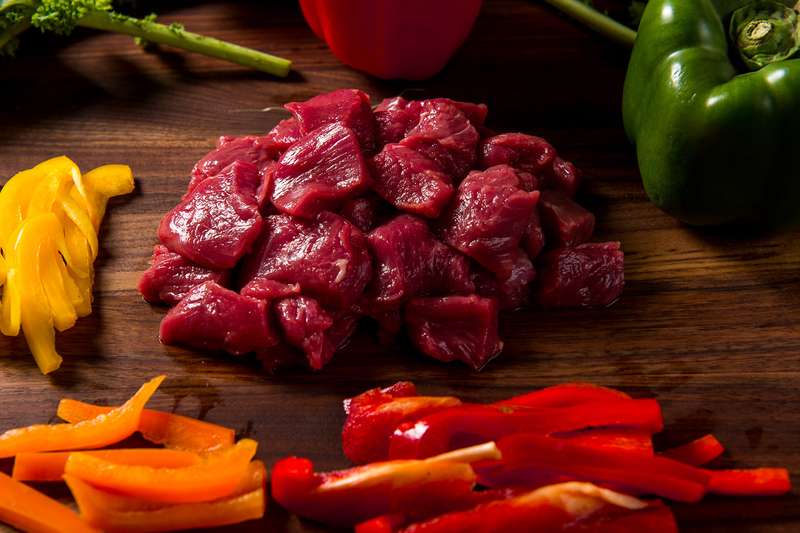 We guarantee our beef is 100% Natural, additive free and USDA inspected. We offer a 100% guarantee that you will be completely satisfied with your River Watch Beef purchase. If for any reason you are not satisfied, we’ll make it right.